At Marquez Iron Works, we have been crafting and installing attractive, affordable security window guards for commercial and residential customers throughout Orange County since 2001. During our years in the industry, we have serviced countless homeowners and business owners, who have been so pleased with our exceptional quality craftsmanship and excellent customer service that they have referred our superior iron work products and installation services repeatedly to their family members, business associates, and friends. At Marquez Iron Works, our window guards comply strictly with all current safety and building codes, and feature the most up-to-date fire release emergency exit safety features available today. 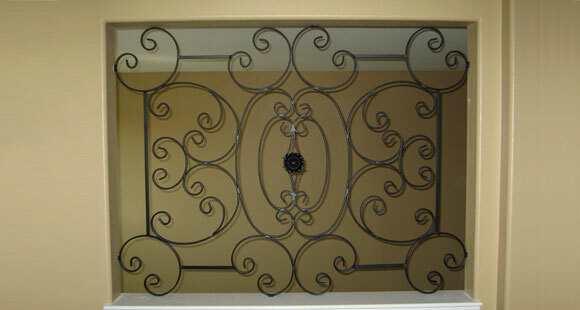 Moreover, our skilled, experienced iron work craftsmen pride themselves on adhering to only the highest standards of professionalism in all that they do, and expertly construct and install our security window guards with the goal of providing the maximum protection possible for our residential and commercial clients' homes and businesses. Look no further than Marquez Iron Works when you are seeking stylish, yet highly effective security window guards for your residential or commercial property: There is no reason that providing effective security for your home, business, or commercial property needs to come at the expense of your home or building's appearance. At Marquez Iron Works, all of our security window guards are artfully designed to complement your home or commercial building's exterior, and are available in an infinite selection of designs, from contemporary to traditional, and strictly functional to highly ornate, certain to please even the most discriminating of tastes. They can be powder coated in our standard black or bronze finishes, as well as a limitless selection of customized colors, in order to perfectly complement the exterior of your home or business. In addition, we also offer our security window bars in both galvanized and metalized finishes, for maximum resistance against the elements. 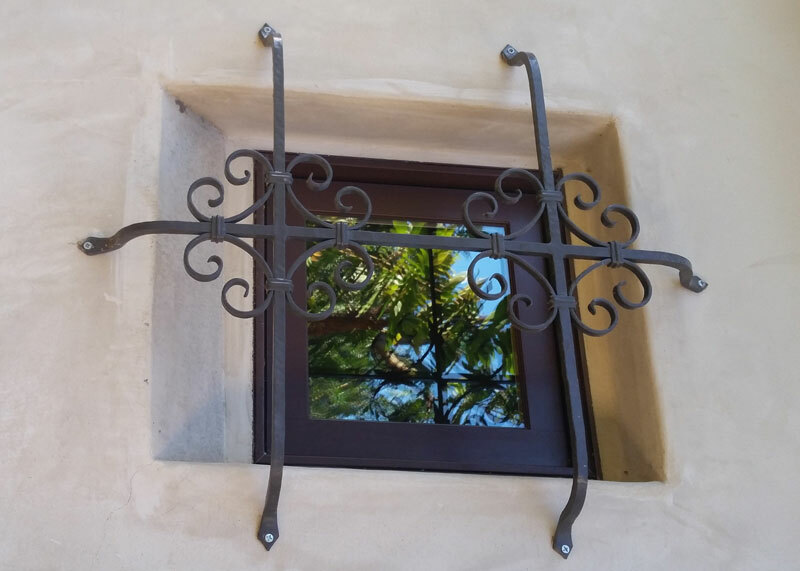 Call Marquez Iron Works today, and discover how our attractive and functional security window bars can add safety, style, and value to your residential or commercial property. We offer free design consultations and estimates to all of Orange County, and are licensed, bonded, and insured.